ATTENTION INVESTORS / LANDLORDS - This property has a very good long term tenant who really wants to stay - he has been here for 40 years and calls this home! Rent is $750 - no lease. If you have cash to invest, just buy and start collecting rent! Fix it up later..... the property is in need of work and updating.... so it is being sold as-is with no repairs nor inspections done by seller - please use the Special Sale Contract. 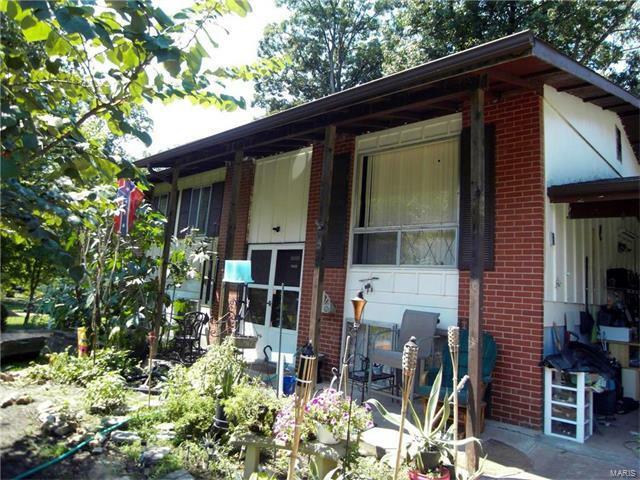 It is a 3 Bedroom, 1.5 Bath Split Level home with a One Car Carport. It sets on a large .25 acre lot with a fully fenced backyard and is located at the end of a Cul-de-sac. Great Valley Park location near Highway 141, South of Big Bend. -------------- There's a recent sale of another updated Split Level home, with a 1 car garage, in this subdivision - that sold this past April for $141,000. Easy to view, tenant works nearby. Hwy 141 to West on Helfrich. Left onto Valley School Rd, Right onto Guylyn Place, then Right onto Guylyn Dr, home is on the Right at the end of the street.